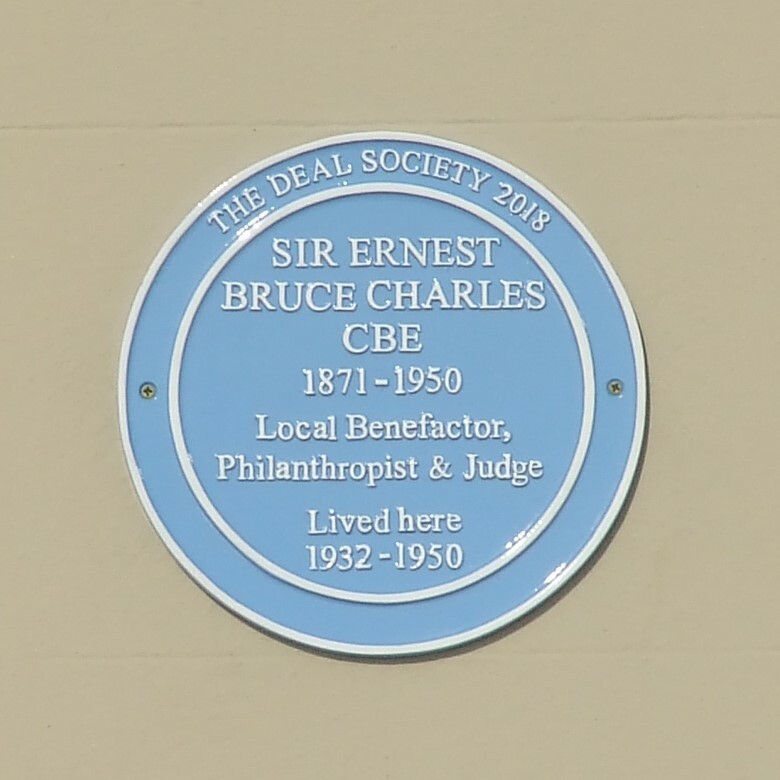 A new blue plaque has been unveiled to a great benefactor to Deal – Sir Ernest Bruce Charles CBE. 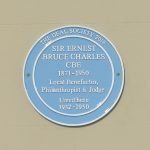 The plaque is on his home, which still bears his name, Bruce House on Beach Street. to find out the history behind the person whom it was named after. 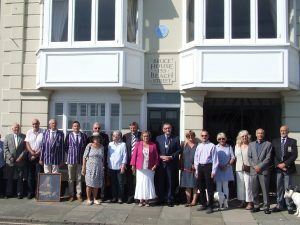 He added that he was honoured to be commemorating the memory of such a great benefactor to the town. 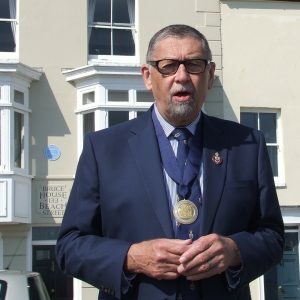 Afterwards, historian Simon Gregory told those attending about the work of Sir Ernest and his family connection because his Grandfather was a miner at a time when they were not welcome in the town but Sir Ernest was happy to rent rooms to him at a reduced rate for such a hard working man. 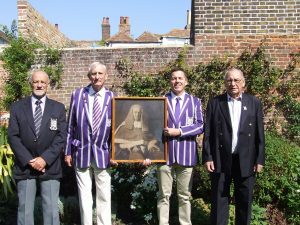 The ceremony was attended by representatives of Deal Town Football Club and Deal Walmer & Kingsdown Amateur Rowing Club, as Sir Ernest helped to set them up by buying the football ground and the rowing clubhouse. Officials of the Rowing Club wore jackets in the club colours, which were Sir Ernest’s colours when he was a judge. More information on plaques and memorials in Deal and Walmer can be found on the Deal Heritage website at www.dealheritage.org.uk/plaques.